In the 14 years I’ve lived in my apartment, they have not allowed pets in the building. The only exception was my neighbor the dog walker and the woman who had a bird in her apartment… illegally. Since that thing squawked all the time, I don’t know how she got away with it. Sadly, the dog walker passed earlier this year and Lady Bird moved out years ago, so I haven’t seen any animals in my building for months… until Leo. I met Leo in the elevator one night and asked his owner, “How’d you get him into the building?” like she had smuggled in contraband. I’m always hesitant to admit this. People say they hate kids all the time, but if you say you’re not an animal person, people think you’re a monster. I, for one, LOVE children and will be the first to get on the floor and play with them, but when it comes to animals, I don’t get that excited. I’ve lived with three cats (my BFF and roommate worked for the Humane Society and it was like crack for her). I’ve dog sat. 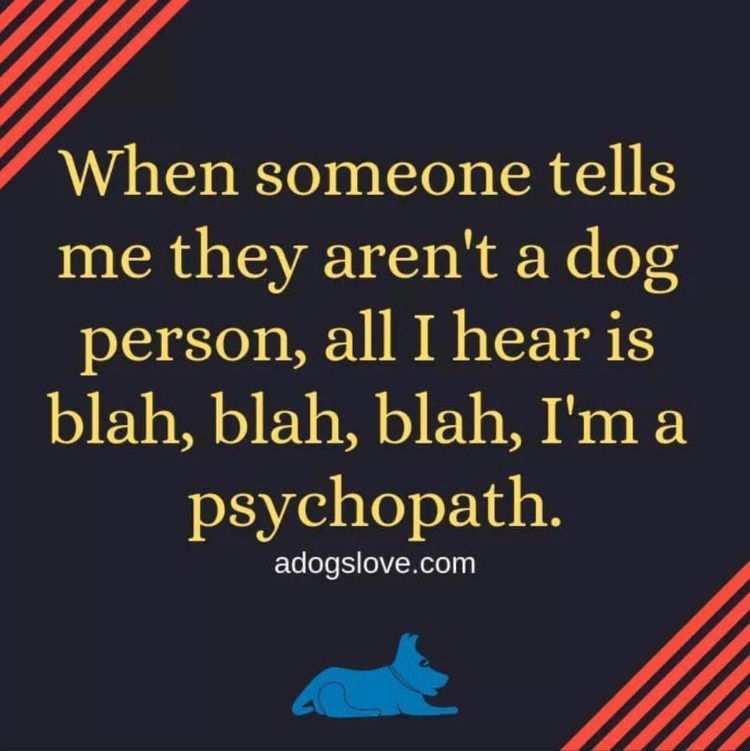 I’ve also been attacked by both cats and dogs (and a flying muskrat, but that’s another story), so needless to say, they’re just not my thing. A few weeks passed and I bumped into Leo and his owner again. We chatted briefly outside my front door discussing how cold our respective apartments had been. “That’d be great,” she replied and I opened my door. “Would you mind picking him up?” I asked as I looked down at this adorable dog’s face. “Oh, he won’t do anything,” she assured me. Three things raced across my mind. I’ve never had an animal in my apartment before. What’s he going to get into? What if he barks or disturbs the See You Next Tuesday downstairs? I just cleaned my place. What if he barfs on my bed or sharts on my sofa? “If you want me to pick him up, I will,” she said. Normally, I would go through 8,000 scenarios in my head of how this dog would destroy my apartment and why she should hold onto him for dear life. Instead, I decided to believe her (I had no reason not to). Trust her (I did) and let go. And in walks Leo. He’s sniffing around my place and I’m staring at him as he cases the joint. I’m less shocked by his presence and more amazed by my willingness to let him in. His owner and I sit on the couch and chat about just about everything but Leo, and I find myself not watching his every move. He’s so chill. All he does is walk around. And then I do something that surprises me. I put out my hand for him to sniff it. It’s remarkable to me because he’s not close by. I am, in essence, calling him over. That’s right. I am inviting an animal to come to me… willingly. His owner and I continue to chat, I take pictures of him (he really is adorable) and eventually Leo melts into the background. Now will I invite all pets into my place? Probably not. Did she do an insanely great job training him? Absolutely. Did it help that he doesn’t shed? Heck, yeah. Something tells me that this isn’t the last time Leo will be in my apartment. Maybe this new furry friend of mine will unlock something else… and not just my front door.